Multi Award-winning guitarist/composer Antonio Forcione is one of the world’s most celebrated and inspirational acoustic guitarists. He takes the guitar to new levels of expression, incorporating the unexpected elements in life with a rare delicacy, humour and, not least, passion. “A breathtaking experience” (The Scotsman). 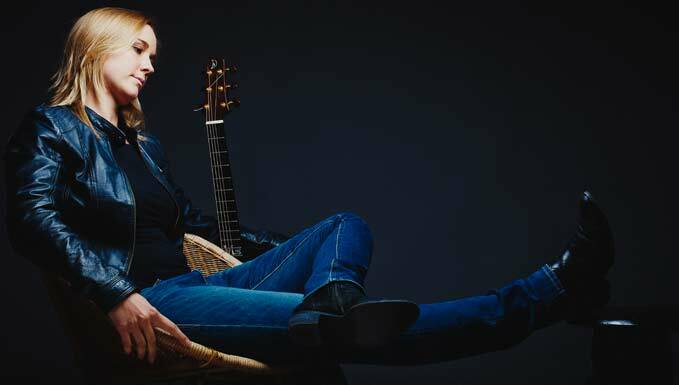 The moment Jule Malischke walks out on stage, audiences are immediately captivated by her genuine and vibrant charisma and they will follow her down any road she leads them with her warm and beautiful voice and exceptional guitar playing. She presents her songs passionately and poetically, songs which tell us stories about personal encounters, great joy, aspirations and disappointments, reflecting life with all its yearnings, hopes and dreams. Antonio and Jule will also teach a 2-day course in acoustic fingerstyle and songwriting, a unique experience for guitarists, songwriters and singers alike.